This week marks the beginning of the 10th year of Lawyer2Lawyer, the legal-affairs podcast cohosted by J. Craig Williams and me and produced by the Legal Talk Network. 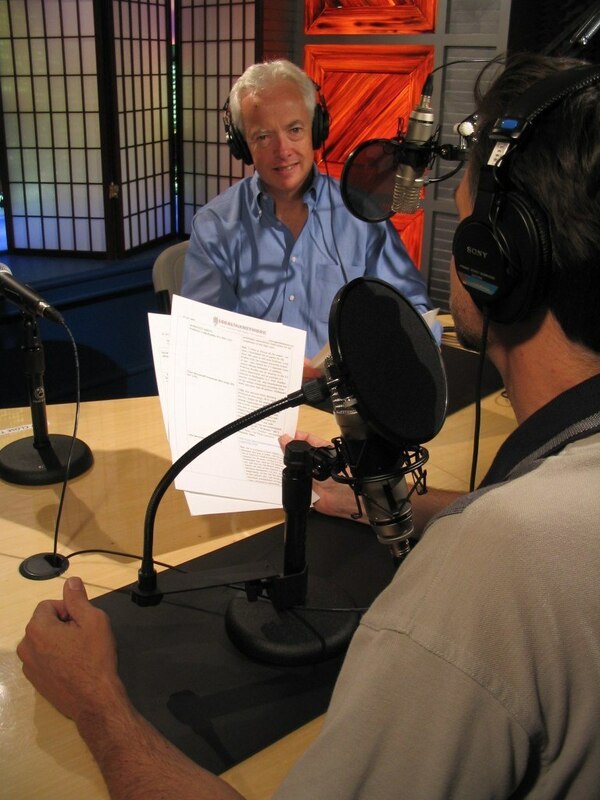 We are the longest-running legal podcast and one of the longest-running podcasts of any kind. By my rough count, we’ve done over 400 shows. Our first show was posted on Aug. 31, 2005. Our guests were Mike Greco, who had just taken office as president of the American Bar Association, and Erwin Chemerinsky, then a professor at Duke Law School and now dean of the University of California, Irvine, School of Law. According to Wikipedia, the longest continually running podcast of any kind is Radio Open Source, which began in September 2003 with the help of Dave Winer, the author of RSS. A month later, at the original Bloggercon conference at the Berkman Center (which I actually attended), Winer promoted his idea of distributing MP3 files via an RSS feed. That, more or less, was when podcasting began to take off. Our show started as a weekly podcast and continued as such until 2013, when Lawgical bought the Legal Talk Network and we decided to reduce our frequency to every other week. While we were the first podcast on the Legal Talk Network, it has grown to host a whole stable of shows — with new ones in the works even as we speak. I urge you to check out all the great podcasts LTN offers. The show would never have happened if not for Lu Ann Reeb and Scott Hess, the founders of the Legal Talk Network. They came up with the idea for the show and reached out to Craig and me to host it. And the show would not continue to happen if not for the folks at Lawgical, who bought the Legal Talk Network in 2013 and continue to expand it — particularly CEO Adam Camras, CTO Trent Carlyle and COO Jim Pickell. Of course, if anyone deserves credit for the show, it is the behind-the-scenes folks who actually do all the work. For many years, we had the great honor to work with producer Kate Kenney and and audio engineer (now lawyer) Mike Hochman, who were not only wonderful to work with but who became good friends as well. When the company changed hands and we lost Kate and Mike, Craig and I worried about who could possibly replace them. But that was before we started working with our new producer, Laurence Colletti, and audio engineer, Mark Oblinger. Laurence is a practicing lawyer who is tireless in coming up with ideas for shows and chasing down top-notch guests. Mark is a Grammy-nominated producer, audio engineer and composer who is an absolute magician with sound, able to make even me sound pretty good. A huge thanks to everyone who listens to the show. I know for a fact there are a handful of you out there who have been listeners since the start. We really appreciate your listening.